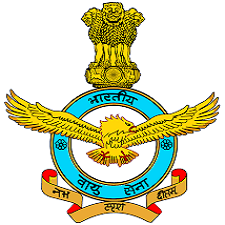 AFCAT 2017 Application Form: The Indian Air Force was recently released the application form for the post of commissioned officer in Flying Branch/ Technical Branch and Ground Duty Branch. The people who looking for the AFCAT Online Application Form 2017, are advised to visit the under available node. Each & Every the board has been conducting the AFCAT entrance exam (AFCAT 01 and AFCAT 02) across all over India twice and every year huge numbers of candidate are apply for AFCAT Exam. For further details, read this article fully. The candidates who have 60% of aggregated marks in under graduation or post graduation, can eligible to apply for the AFCAT Examination 2017. For Ground Duty Branch you have to obtain 50% of aggregated marks in your academic. To know more detailed information regarding educational qualification, please refer the AFCAT 2017 notification which is available in our examlevel.com site. The applicants should have height as 5 cms. One eye must have 6/6 and another one must have 6/9. For Flying Branch post, the age limit should be between 20 year to 24 years. For Technical and Ground Branch post, the age limit should be between 20 years to 26 years. * The age relaxation will be given as per govt rule. The AFCAT papers contains 100 questions. For every correct answer 3 marks will be awarded and 1 marks deducted for every wrong answer. The examination timing for AFCAT 2017 will be 2hrs. General Awareness: Geography, Environment, Art, History, Sports, Civics, Basic Science, Defence, Culture, Politics, Current Affairs etc. Verbal Ability in English: Sentence Completion, Synonyms, Comprehension, Error Detection, Antonyms and Testing of Vocabulary. Numerical Ability: Profit & loss, Percentage, Decimal Fraction, Simplification, Average, Ratio & Proportion and Simple interest. Reasoning & Military Aptitude Test: Spatial Ability and Verbal Skill. After qualifying the AFCAT & EKT written test, the aspirants will be invited for Intelligence Test, Group Test, Medical Test, Psychological Test and Personal Interview which is organized by Air Force Selection Boards (AFSBs). The AFCAT Entrance Exam 2017 application form will begin in December 2016. The Examination will have 4 sessions. For AFCAT 1: The AFCAT application form will be available in the month of Dec 2016 and then the online process get start from the same month. The written examination will be conducted on Feb 2017. For AFCAT 2: The registration form will be available on June 2017 and the examination will be organized in the month of September 2017. * Before going to conduct the exam, the board will be published the admit card on their official digital website(careerairforce.nic.in). First scan your recent photograph & signature in a prescribed size & format. Then find & visit the official site (careerairforce.nic.in). Next choose the link called 'AFCAT 2017 ---> Apply Online'. Then complete the basic registration process such as Name, Phone, Address, Email. After that, click the submit button. It will show the AFCAT 2017 application form. Next fill the online application form with your valid details like Academic, Personal, Communication and etc. Then upload your scanned photograph and signature. After completed all the process, submit the filled application form and take a print out for further reference. Application Fee: NO FEE is required to apply for the AFCAT Examination 2017 Commissioned Officers. New Delhi, India 110 106. For any queries: Monday to Friday at 09:00 am to 01:00 pm & 02:00 pm to 05:00 pm/ Toll Free no. 1800-11-2448.